Be here starting at 5pm Fridays and play Jackpot Bingo. 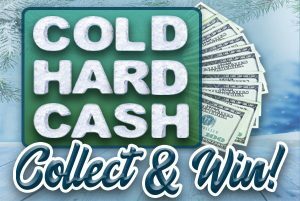 We award $100 cash every game PLUS get a bingo with the Jackpot Number and win up to $600 CASH! Slow roasted, tender 8 oz Prime Rib cooked to order, served with creamy horseradish and au jus, plus a baked potato and seasonal vegetables. 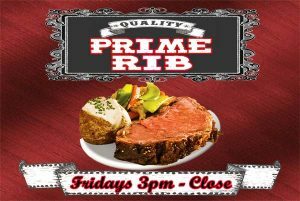 Friday nights 3pm-close only $8.99! You've been collecting tickets all month, now its time for the Grand Prize Drawing at 7:30 right after Bingo!